White-checkered blue slim fit shirt with contrasting inner collar and ribbon buttons below. 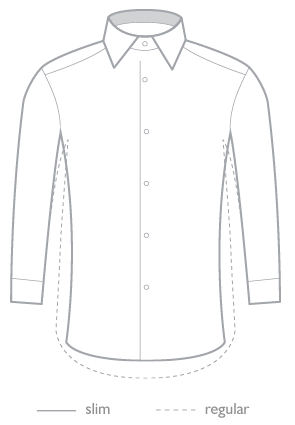 Slim Fit shirt has a tailored cut on the back with two darts. This shirt is perfect for emphasizing your silulety. It is therefore more suitable for men taller or sports types. The collar of this type of button down, where the corners clipped to his shirt collar with small buttons, not wearing a tie. The shirt has sleeves with cuffs.